Introduction to circulatory massage therapy. Throughout this course students will discuss the science and therapeutic application of circulatory massage therapy. Discover the strokes, techniques and foundations of circulatory therapeutic treatment. In this course students will learn the concepts, fundamentals and techniques behind circulatory massage. Students will become proficient in their delivery of a full body 60 and 90 minute session of circulatory massage and the techniques that accompany a holistic session. The following is placeholder tlay the groundwork for deeper, more structurally integrated modalities geared towards common dysfunctions. In this course, students will learn how to use their tools (i.e. thumbs, palms, forearms) to sink into the layers of tissue that are dysfunctional. Students will develop a more holistic understanding of the perception of pain, learn specific techniques that treat dysfunction and how to know when to apply which technique for which ailment. Learn about the history and science of Ayurveda. Learn specific language and key terms associated with dosha balancing. Gain a deeper understanding of other Ayurvedic body therapies and their benefits. Introduction to Shiatsu. This course is designed to lay the groundwork for a standard in providing Shiatsu treatment to clients. 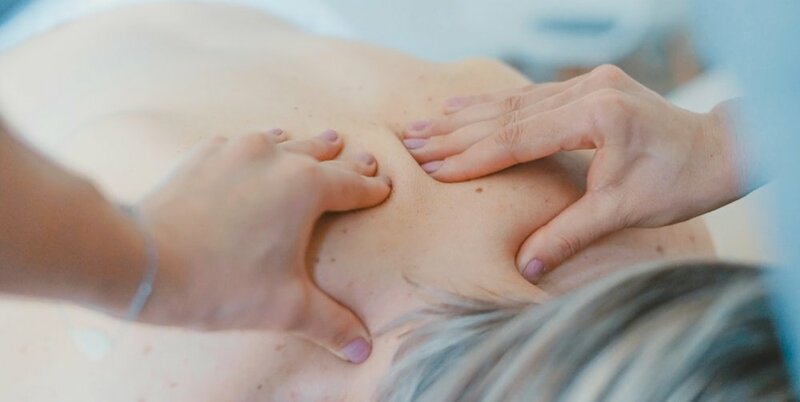 Shiatsu is a touch based therapy that applies pressure to areas of the surface of the body for the purpose of correcting imbalances, and maintaining and promoting health. Learn the terminology and key terms associated with Shiatsu. Introduction to Reflexology and Zone therapy. This course is designed to lay the groundwork for students to be proficient in application and understanding of the functions of the body through the reflexive points. By applying precise techniques or stimulation to a specific zone or point to the hands,feet, face and ears the flow of energy, blood, nutrients and nerve reflexes are restored and balanced. This class will provide students with Thai massage techniques modified for use on a western massage table. This creative approach to Thai massage done on a table is safe and comfortable. Students will learn how to use some of the most effective Thai massage stretches with proper body alignment and the use of their body weight to create a stand alone or adjunct therapy. Advanced practice into deep tissue manual therapy and bodywork. This course is designed to map out common injuries and dysfunctions and determine which techniques work best in different scenarios. In this course, students will learn about common injuries and dysfunctions and will confidently be able to discuss them with their client and supporting health care practitioners. Students will determine their scope of practice and develop skills to guide their clients through these issues. Tune into mother’s blossoming energy and help relax mom deeply during, before and after pregnancy and labor. Infancy massage protocols. Bolster uses, sensitivities and safe induction methods for full-term mamas. In this course students learn techniques and methods of treatment used in Sports Massage Therapy and Bodywork. It is designed to lay the groundwork for athletic conditioning and rehabilitation therapy. Offers knowledge of how, why and when to administer pre-event, post-event, and rehabilitative sports massage. This is a hands-on course that teaches students how to work with clients who have been diagnosed with cancer and other potentially life-threatening illnesses. In this course, students will learn how to hold space for those clients who are sick or suffering from disease or illness. Students will learn manual lymphatic drainage and enhance their ability to listen and create a healing space.